For those who might like to practice “paleography,” or the making of a typed transcription of a manuscript page, we provide here some elements that might be helpful. 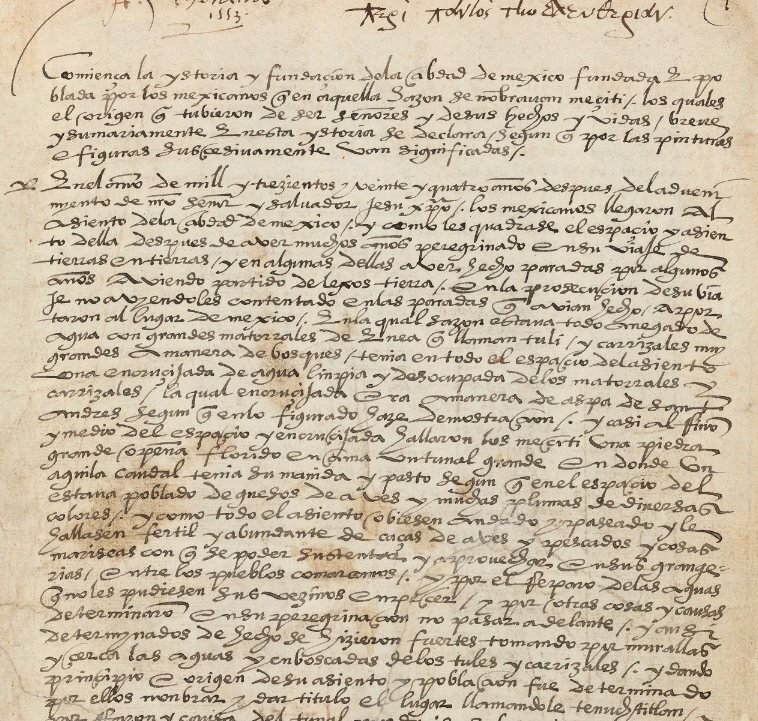 We draw from the first page of the Codex Mendoza, a page in Spanish, highlighting how the letters can be written. We also share a key to the abbreviations and some of the more challenging words, owing to the way they are written or spelled (orthography). At the end, one can pull up the page and give transcription-making a try. This is the top part of the first page of text (f. 1r. ), from which are drawn the details below. “Comiença” (i.e. Comienza, it begins), shown below. “nobrauan” (i.e. nombraban, they were naming).